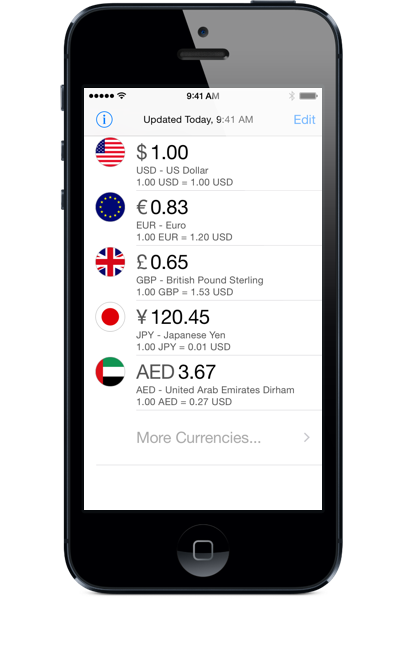 Simply edit the value of any currency, and immediately get the converted value in other currencies. 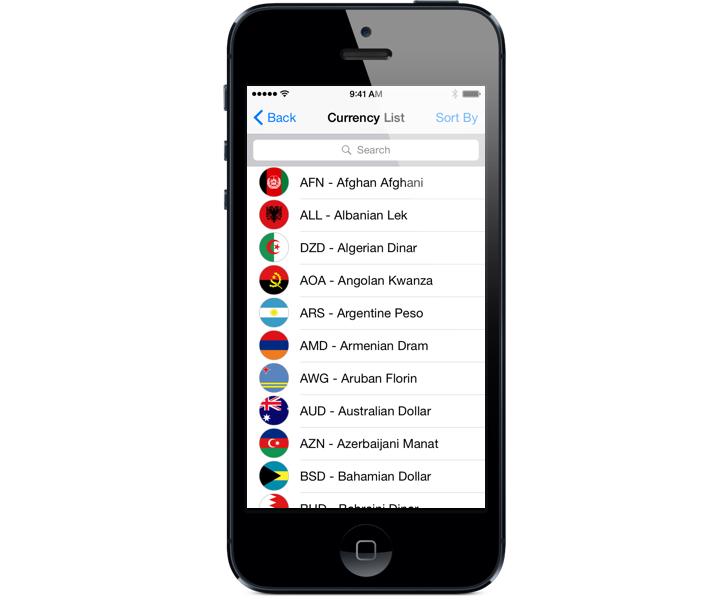 Currency Today has the full list of 164 currencies around the world. 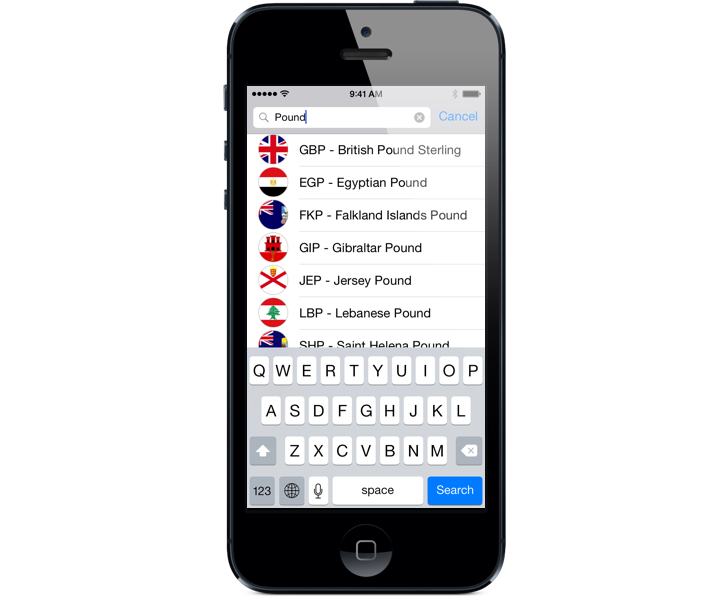 Select your favourite currencies from a list of 164 currencies. 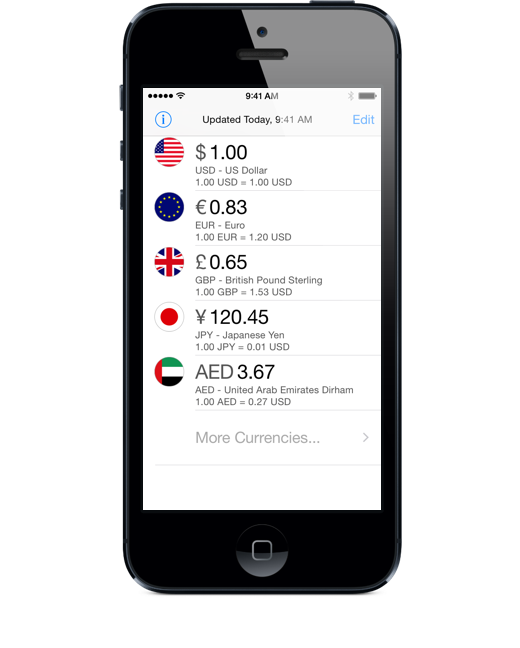 Currency names are displayed in device preferred language. 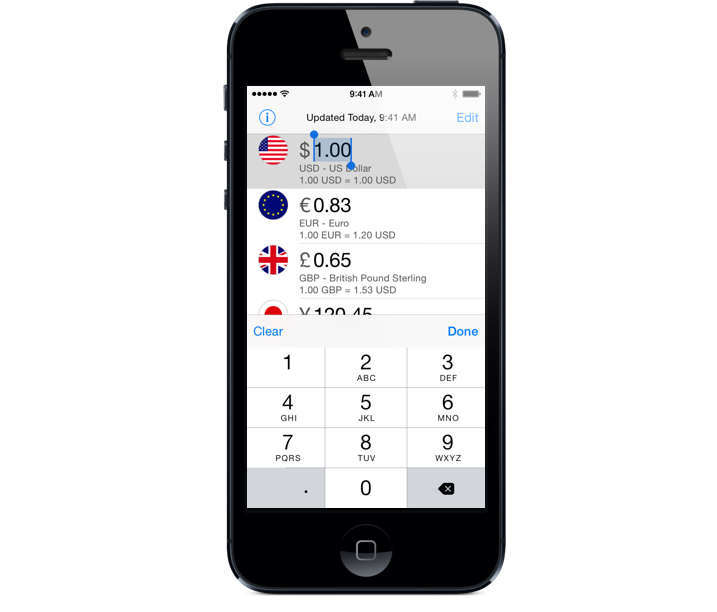 Use it offline using last downloaded currency rates. Includes Gold, Silver, and Bitcoin.